During the meeting, the ENCOMPASS consortium, composed of 11 partners from 6 European countries, gathered together to discuss the technical evolution of the project and agreed on necessary decisions for the future work. The ENCOMPASS meeting took place during the EWF 25th Anniversary, which consists in one week with several conferences and meetings to debate on topics such as the future of European Industry, technology innovation, how to maintain the competitivity and what are the required challenges to have a prepared workforce. The objective was to bring together representatives from leading industry, policymakers, researchers and experts to discuss further strategies and to increase the collaboration European research projects and the industry representatives. 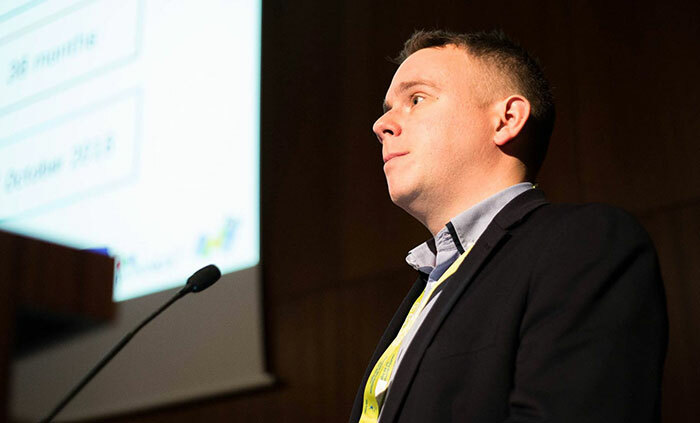 Dr David Brackett, Technology manager at AM-MTC and the technical coordinator of the project, presented ENCOMPASS, along with other European projects in the additive manufacturing area, during the European Strategic Approach On Additive Manufacturing. More than 150 attendees had the opportunity to contribute, ask questions and show interest during the event and to visit the two poster exhibitions, one about research and development projects, organised by EWF and one about the additive manufacturing poster exploitation, organised by AM-Motion. The interactive conference was an excellent occasion to learn more about the latest trends, about the H2020 programme and the initiatives of European Commission regarding the additive manufacturing field. If you are interested to find out more about ENCOMPASS, visit www.encompass-am.eu.